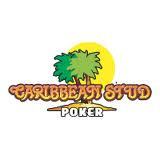 Caribbean Hold’Em is a poker-based casino game similar to the popular Caribbean Stud table game. Casino Hold’Em is essentially the same game. The only difference between the two is that Carribean Hold’Em only pays even money on the Ante when the dealer doesn’t qualify, while Casino Hold’Em always pays the Ante according to the paytable. Basic strategy remains the same for both games. These games are popular in online casinos, but I haven’t seen them in the Vegas or California casinos. I devised a Basic Strategy for the game, because one didn’t exist yet, and I wanted to play this game online (for real money, like $1 Antes). There are a few calculators for the game, but it’s not practical to play with one. With practice, you’ll learn most of the basic strategy, and will have to refer to the table for only a few cases. Of course, the goal is to enjoy playing the game, and for decisions to become natural. The strategy is written in poker terms, so it’s easy to understand and remember if you’ve played a lot of Hold’Em. There’s only one decision point in Carribean/Casino Hold’Em, so how hard can it be to play? As you’ll see, basic strategy is very loose compared to all other poker-based table games. 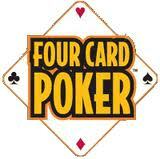 Here, you need to bet hands like 6th nut kicker, overcards, gutshots, and runner-runner flush draws. It’s kind of crazy, but that’s because the dealer needs a pair of 4’s or better to qualify, and because the Ante pays odds for a flush or better. The player must Ante before play starts. The player receives the two hole cards for his hand. The flop (3 cards) is dealt on the community board. The player must decide either to (a) 2x raise his hand, or (b) to fold his Ante. This is the only decision point. The turn and river are dealt on the community board. The dealer reveals his hole cards. The dealer must make a pair of 4’s or better to qualify. If the dealer doesn’t qualify, then the player wins even money on his Ante (Casino Hold’Em pays odds), and pushes the 2x raise. If the dealer qualifies and has a better hand than the player, the player loses both the Ante and 2x raise. If the dealer qualifies and has a worse hand than the player, the player wins even money on the 2x raise, and is paid on the Ante according to the paytable. If the dealer qualifies and has the same hand as the player, all bets push. The above table is the most common paytable for the game. Other paytables will not affect basic strategy, unless they pay differently for full houses or flushes. Otherwise, it will just alter the house edge. According to the Wizard Of Odds, the house edge for Casino Hold’Em with the above paytable is 2.16%. The following Basic Strategy simulates at about a 2.5% house edge. The house edge for Caribbean Hold’Em is significantly higher, since the Ante only pays even money when the dealer doesn’t qualify. The Basic Strategy performs equally well for both games, and simulates at about a 3.5% house edge for Caribbean Hold’Em because of the even-money Ante rule.